This is what backlash looks like, and it's only the beginning. Michael Wolff's life won't be the same, and it won't be for the better. Huffington Post reports the Republican National Committee has started a war against the author of the wild tell-all book about President Donald Trump and his administration. In an email blast and follow-up tweet, the RNC distributed a reimagined cover for Michael Wolff’s Fire and Fury decorated with prominent journalists’ critiques of the book. 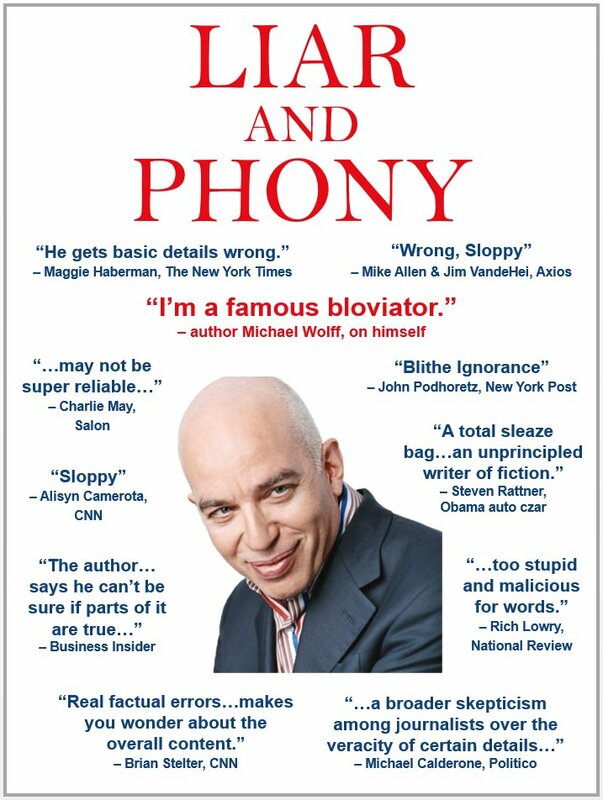 The Republican mock-up, titled “Liar and Phony,” quotes several notable journalists commenting on Wolff’s book, including esteemed White House reporter Maggie Haberman of the New York Times, CNN’s senior media correspondent Brian Stelter and Politico’s senior media reporter Michael Calderone. Out of context, all the quotes appear to lower Wolff’s credibility.